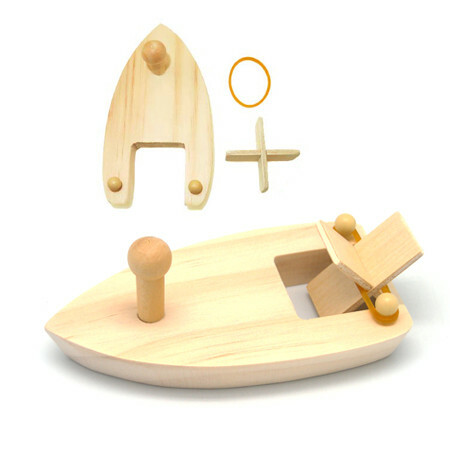 Rubber Band Powered Wooden Paddle Boat is a wonderful fun educational toy that is brilliant at bath time or in the pool. This little boats hull is made from a single piece of wood with a paddle wheel that goes at the back. You put it all together (very simple) wind the wheel which is attached with a rubber band until it is tight. You then lower it into the water and let the wheel go. The little boat shoots off across the water with it's wheel turning and making a lovely churning sound... brilliant! We like this because: "Simple, educational and lots of fun."